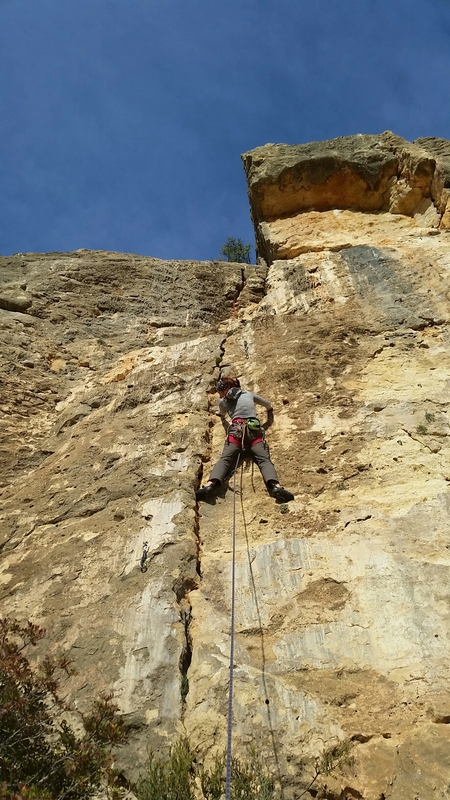 We’ve left Andalucia and are on our way back to the Costa Blanca, via a stop over in Murcia, and a few days in the Sierra Espuna at one of our favourite campsites from our previous trip – El Berro. We had a good day at sector Ferrari a couple of years ago, and were told by Spuz that we hadn’t even seen the best of Mula – hence this return to find the ‘not-in-Rockfax’ hidden gem of Abuelo. Turn right rather than left at the bottom of the descent path, and there you are. I’m not sure it’s necessarily better, but it’s certainly a fine crag. Textured limestone with the occasional conglomerate intrusion and a fine set of cracks at ‘Fissura’. 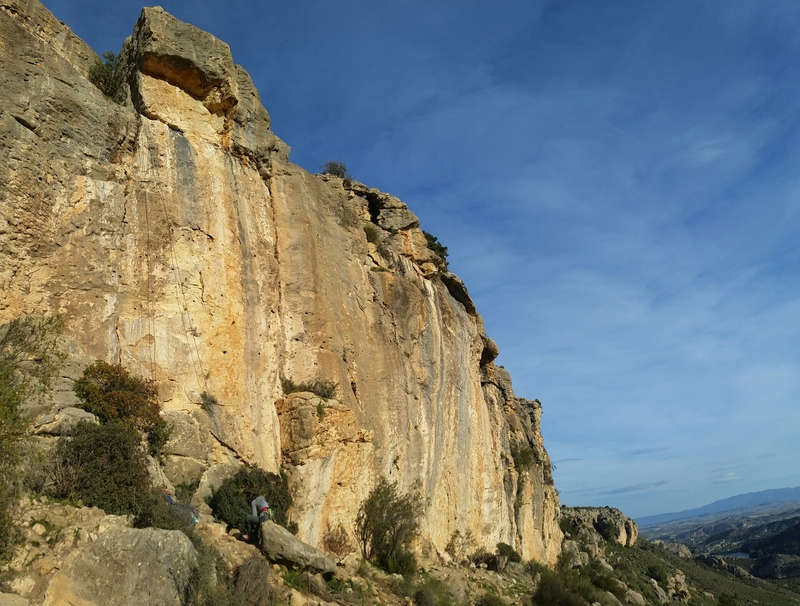 Grades felt generally tough, with El Macho (through right hand end of roof in picture above ) being a real sandbag at 6b+. 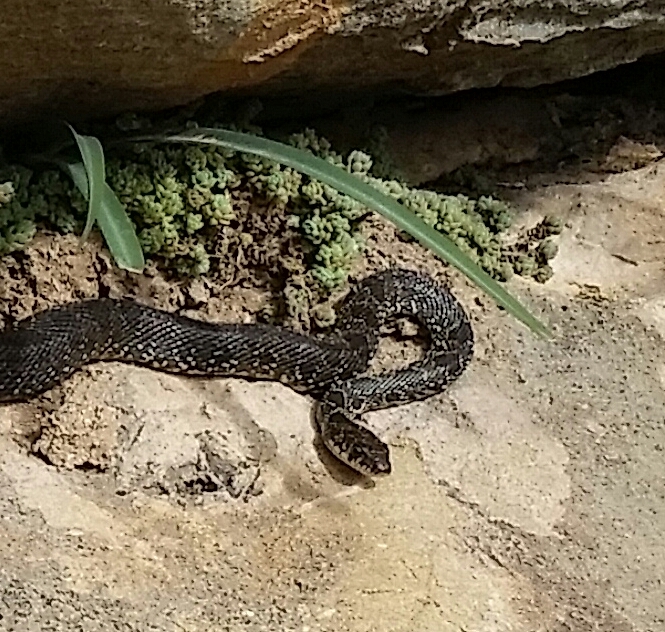 In other excitement, we had a snake encounter. Helen warned me to stay to one side when lowering off as there was a tiny snake poking its head out of a hole. 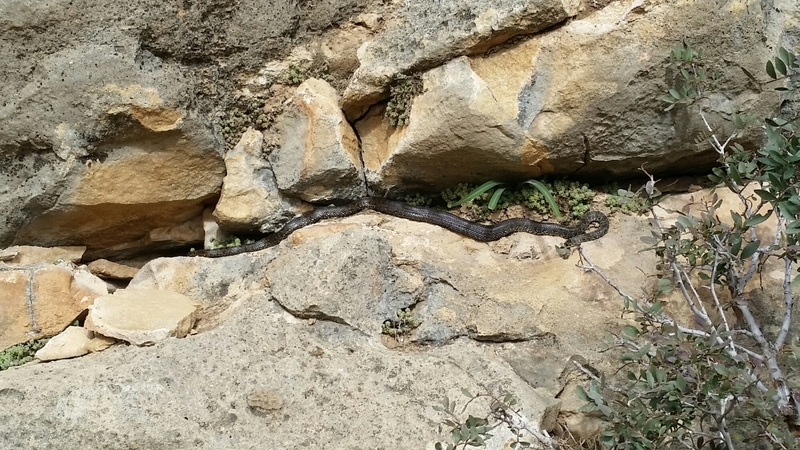 Once we’d got out of its way, it decided to slither the other metre and a bit of its length out of its lair…. We exercised more than the usual caution when packing up the rope!